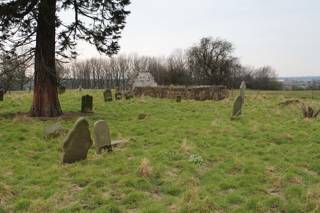 The now ruined church of St John at High Worsall was probably built on the site of an earlier church reported to have been in existence as early as 1204. The church of St John was built in 1719, as a parish church. Because of its deteriorating condition, from February 1891 services were increasingly held in the School Room at Low Worsall and in 1892 the decision was taken to pull down the chancel of St. Johns Church and restore the nave to make it suitable as a chapel of rest. The GPR holds 25 grave and 49 person records for the burial ground. There have been 8 requests for photographs from the burial ground.